Penn Elcom FT01Q-DTC Thermostatic Fan Tray for 19" racks 1U. 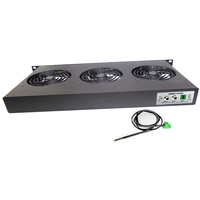 Digitally controlled version of our long standing popular FT01Q fan tray. 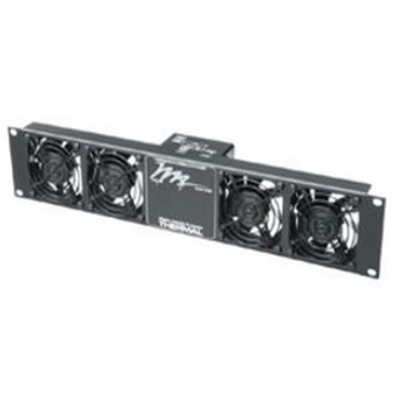 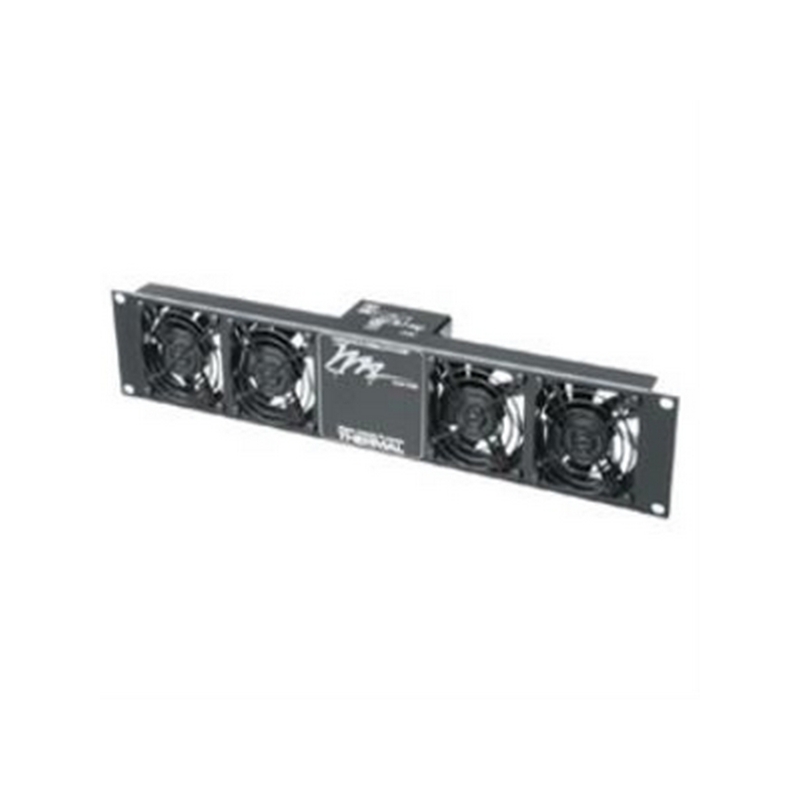 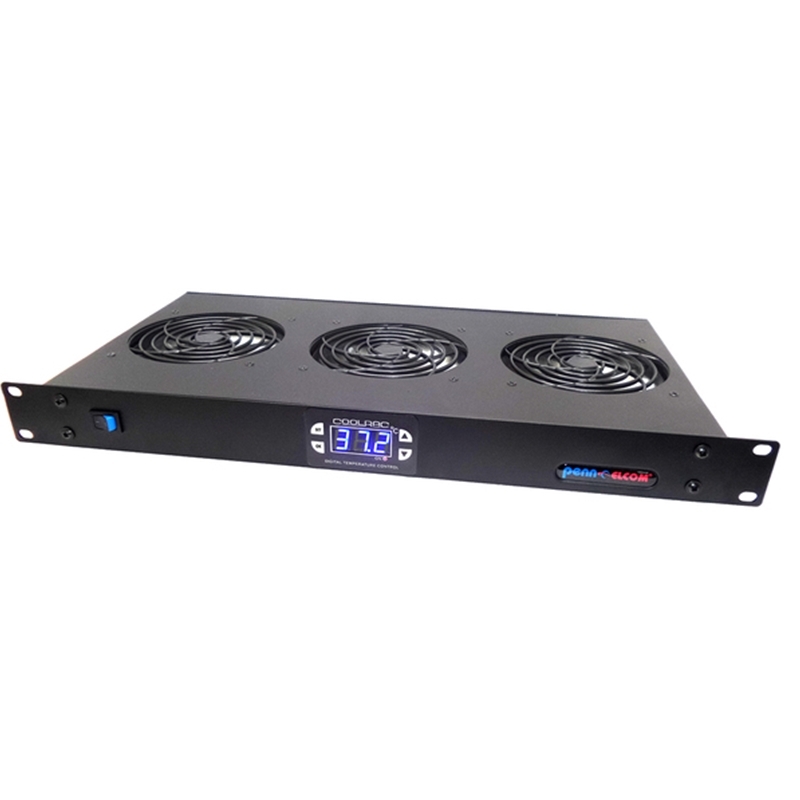 1U Rack Mountable Digital Thermostatically Controlled Quiet Fan Tray unit, for use in 19” equipment racks. It is designed be fitted at the top of the rack to move hot air up through the rack as required. 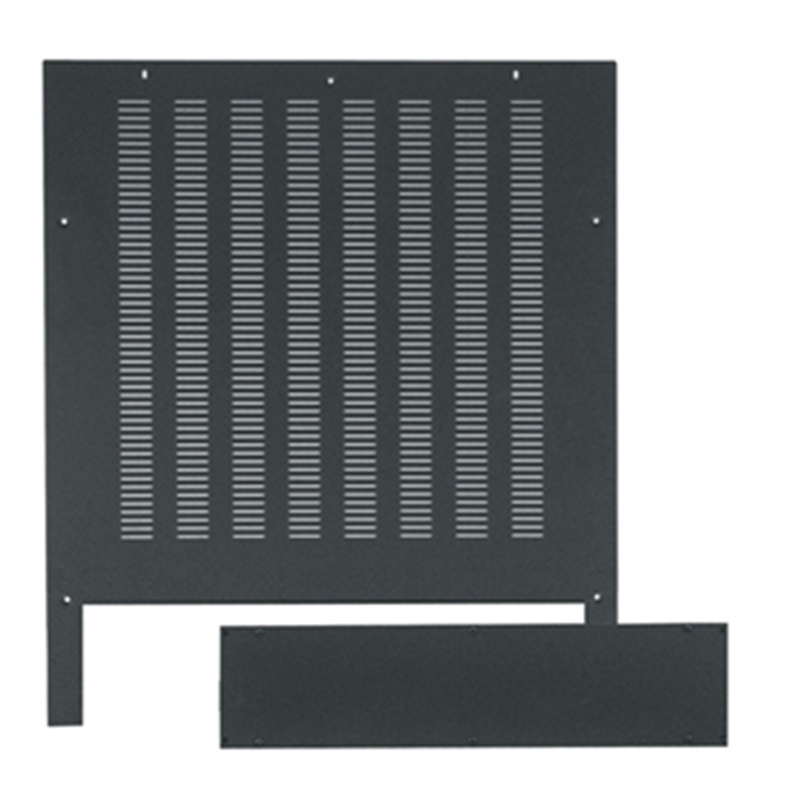 • Dimensions: 44.5mm x 483mm x 222mm / 1.75" x 19.02" x 8.74"
The Middle Atlantic Vented Top for WRK/VRK/MRK Mount Racks (Black) gives you the best of both worlds by giving you ventilation for your equipment while providing dust protection. 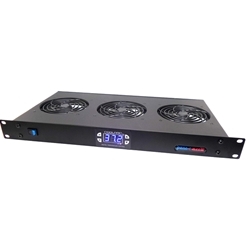 The solid and sturdy aluminum top fits perfectly with your existing WRK/VRK/MRK rack system and blends seamlessly into your work environment.